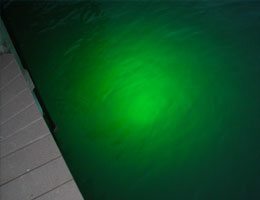 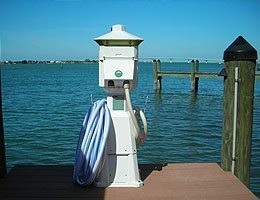 Atkin Marine Services, Inc. will design, permit and construct the appropriate dock for your waterfront boating needs, as well as, maximize your allowed square footage or take your ideas and make them reality. 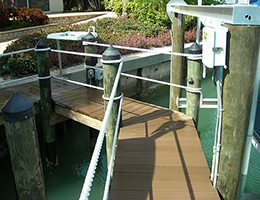 We only use marine grade stainless steel fasteners and .60 salt water splash pressure treated sub-structure and .25 CCA Marine Grade Pilings. 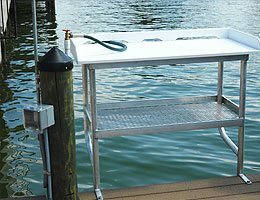 Atkin Marine Service is proud to announce that we are now an Approved Accudock Boat Dock Contractor! 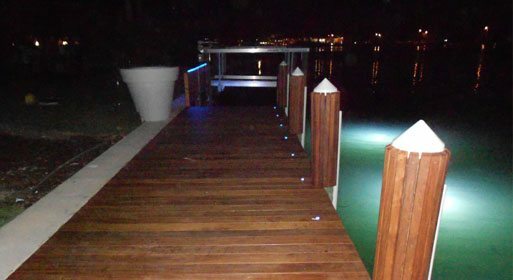 Expert craftsmanship at competitive prices. 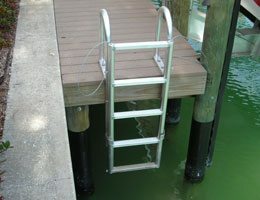 Call us for all your docking needs, and set yourself up for smooth sailing! 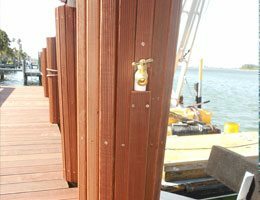 Using Composite Decking , all Stainless Steel Fasteners and protecting your piling against wood bores is the best investment to make in your dock. 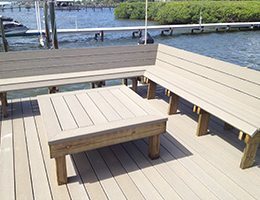 We use Evergrain Composite Sysem and Trex PVC Encapsulated System on all our projects Both Manufacturers have a 20-25 year limited warranty and both come in several styles and colors. 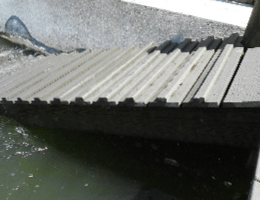 They are available in 1x6 and 2x6 widths. 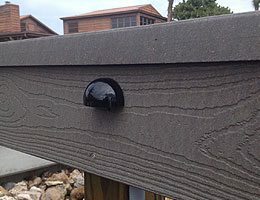 We can also construct your handrail out of the same composite material.